A slow release thymol gel, a new and effective treatment. A natural treatment with efficacy rates ranged from 85% to 95% and an overall average of 93% even after thousands of treatments. It encourages the hygienic behavior of the honey bee, preventing a number of related problems. Ease of use: 2 x 50 gm treatment trays per hive, with an interval of 14 days, in summer just after the honey flow. Best results occur when bees are active and maximum daily temperatures are between 60 degrees and 105 degrees Fahrenheit. 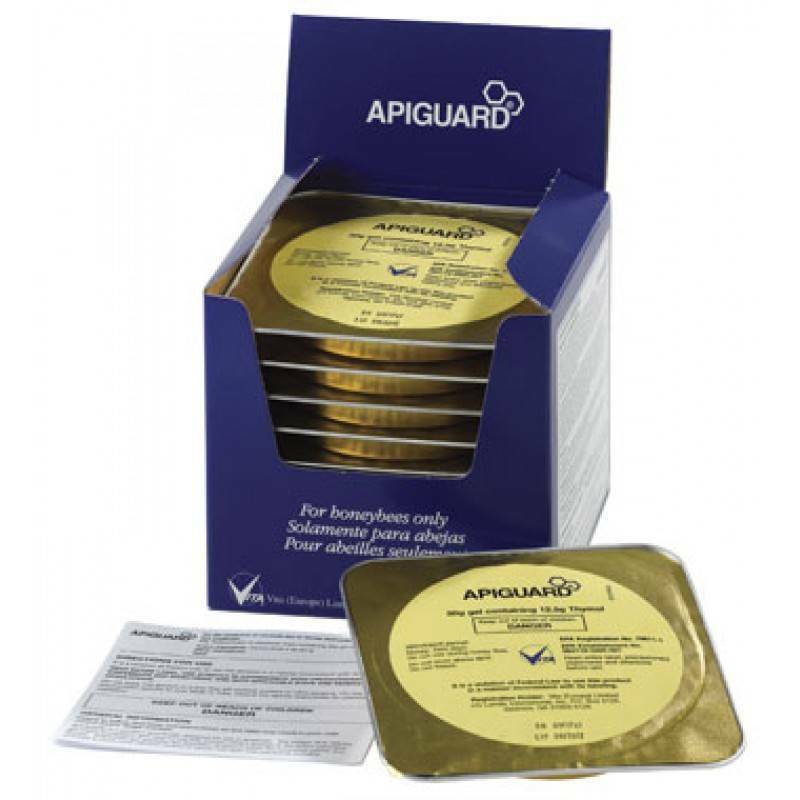 To use Apiguard, place the dosing tray or pad centrally on the top of the brood frames gel side up. Be sure to allow at least 1/4 inches of spacing between the top of the tray and the cover using spacer boards (B10004 rim spacer) or empty supers as needed. Apply the second dose 14 days after the first. Screened bottom boards should be closed while Apiguard is being applied. Contains 10 - 50gm treatments in bulk gel form. Bulk tub comes complete with dosing scoop, spatula, and delivery pads.